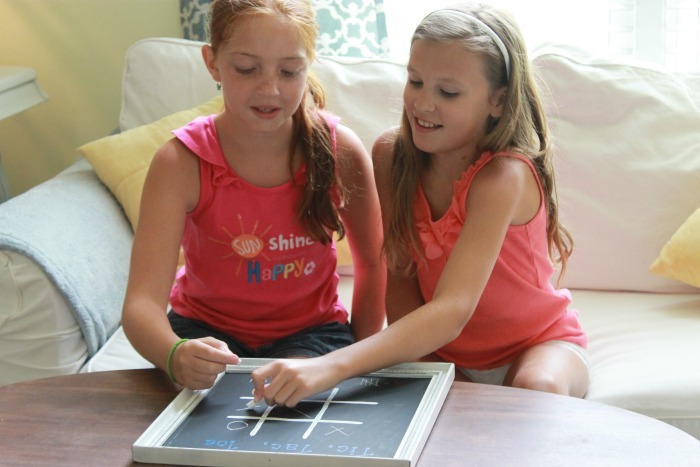 We used Elmer’s Chalk Foam Board, Painters (paint markers), ProBond and an old picture frame. 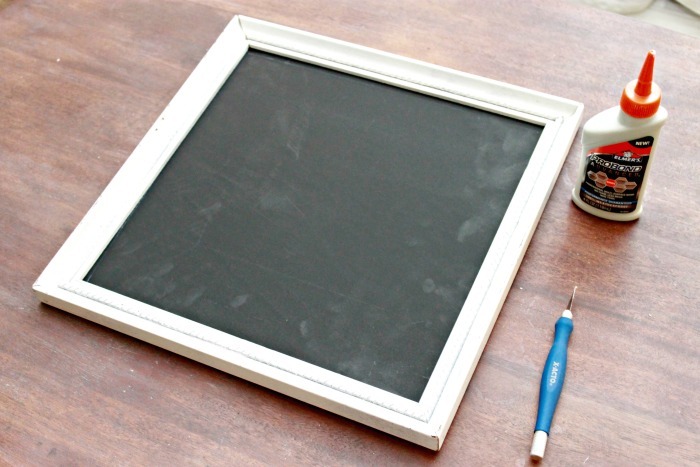 We simply cut the foam board to fit in the frame using an X-Acto knife and glued it onto the back of the frame using the ProBond glue. 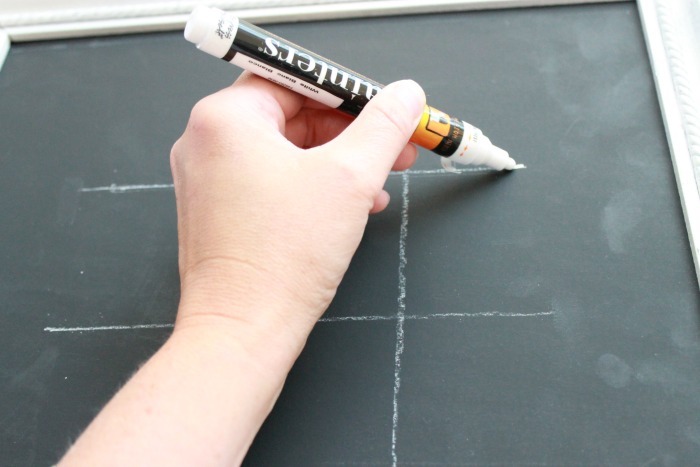 We used a ruler and chalk to draw the tic tac toe board, then traced it with our white paint marker. 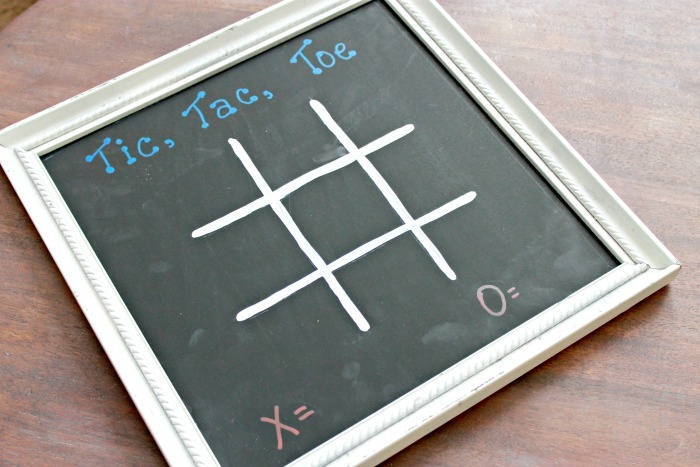 We used painters in blue and red to add Tic Tac Toe to the top and a little area to keep score! Looks like Bella is going to win this one! 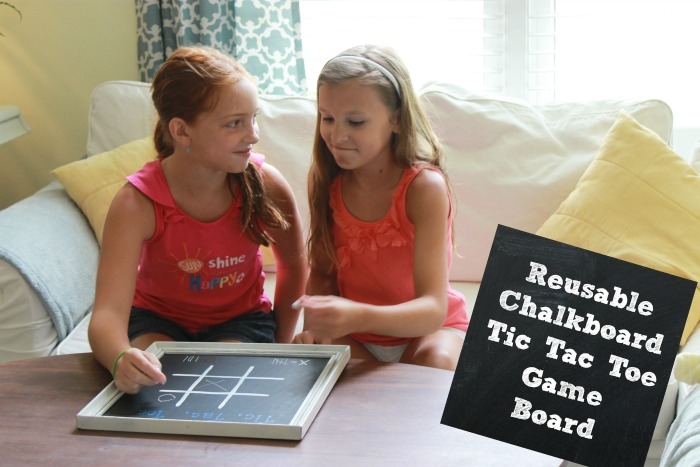 I love the versatility of the Chalk Foam Board…we will be using it for several fun projects! 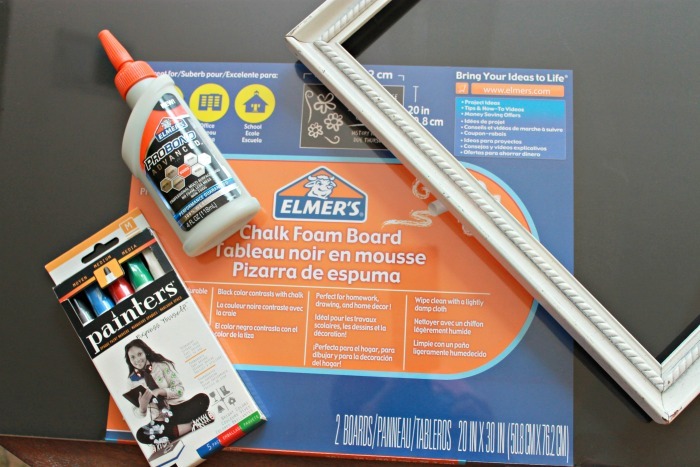 Sign up for Elmer’s Newsletter so you don’t miss a thing, and be sure to follow them on Twitter, Facebook and Pinterest! Now..go get your craft on!